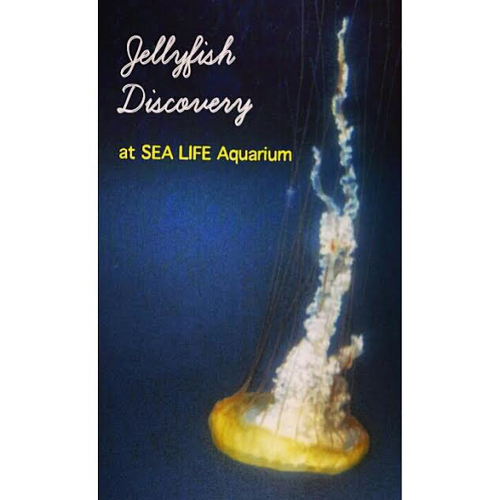 You are here: Home / Aquariums / SD Aquariums / SEA LIFE Aquarium / Jellyfish Discovery at SEA LIFE Aquarium / Painless Jellyfish Discovery At SEA LIFE Aquarium! At opening, the exhibit featured five different species of jellyfish, displayed in six tanks, in over 1500 gallons of water. Some of the over 100 jellyfish on exhibit can be found in our local Southern California waters, others are native of far away lands. Species that the aquarium plans to rotate on display are Pacific Sea Nettles, Box Jelly, Blue Blubber Jelly, Moon Jelly, Lagoon Jellyfish, and Catostylus. We really like the tall, cylindrical tanks, which make it easy to observe the jellyfish from different views. 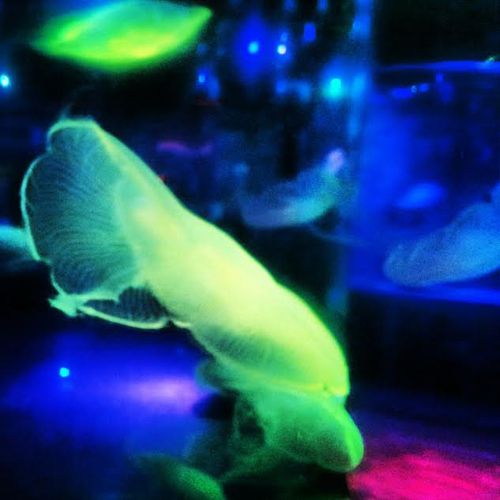 Many of the tanks have colorful rotating lights, which illuminate some of the practically translucent jellyfish. It’s really pretty! The exhibit is set to music, which makes it almost seem as though the jellyfish are dancing to the rhythm. 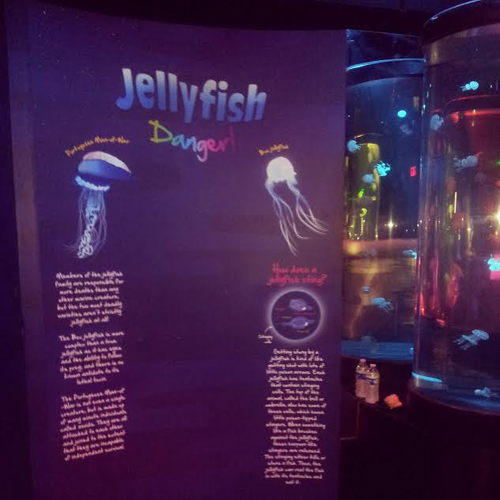 There’s a lot of information in the exhibit about jellies, including facts about their anatomy, and hands-on displays. 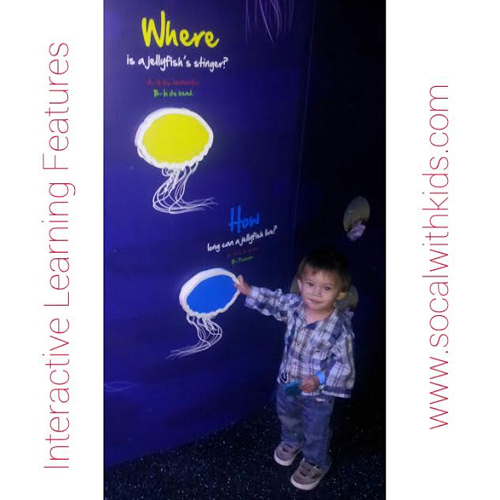 It’s nice that some of the interactive displays are at toddler height, so even the littlest learners can enjoy them. Daily talks about jellyfish are given inside the exhibit. In our discussion we learned that vinegar is probably the best thing to place on a jellyfish sting to help relieve the pain. We also learned that they need light to produce algae in their skin to survive. Jellyfish have no brain, heart, blood, or even nerves. They’ve been on Earth for over 650 MILLION years, longer than dinosaurs or sharks! They have sense organs which they use to detect light, smell, & other animals. Their bodies are 95% water. Most species pick up food, like plankton, with their feeding tentacles. Some jellyfish eat other jellyfish. They “paralyze their prey” with stinging cells called nematocysts. They contract the part of their body called the “umbrella” to swim through the water. 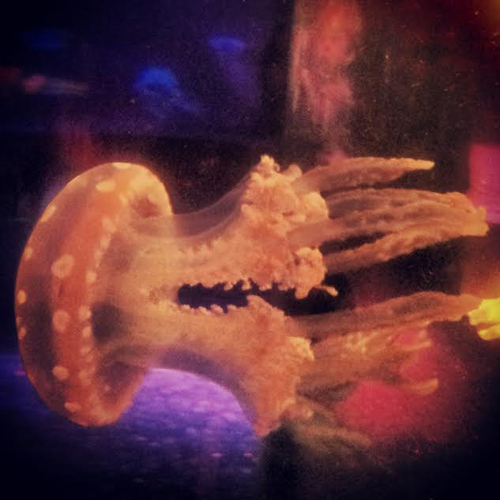 Jellyfish Discovery is included with admission to SEA LIFE Aquarium, at the LEGOLAND California Resort. If visiting the aquarium for the first time, we recommend you take at least an hour and a half to enjoy all it has to offer. 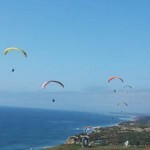 More information, including pricing, and hours of admission, can be found on the HERE. Perhaps we’ll see you there! 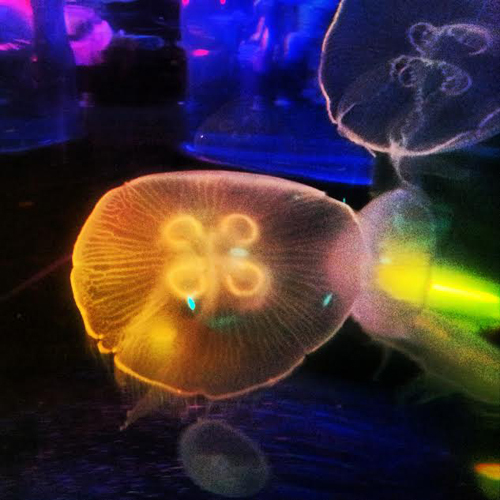 Many thanks to SEA LIFE Aquarium for inviting us to the Jellyfish Discovery Preview Party. We always enjoy visiting the aquarium. 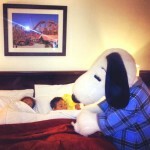 As LEGOLAND passholders, we’ll be back soon!